Francis N. “Neal” Hugos, the son of Karl and Wanda Frances Hugos, was born on the family farm northeast of Norway, Kansas on July 3, 1921. The family moved to Manhattan, Kansas, in 1931, where Karl was in the steel salvage and hardware business as well as in real estate sales of commercial and residential properties. Neal Hugos attended Manhattan High School and then enrolled at Kansas State College of Agriculture and Applied Science in Manhattan (now known as Kansas State University). 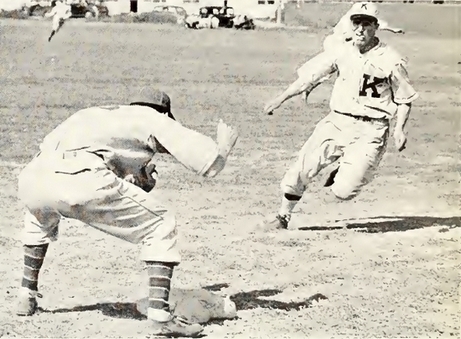 Under baseball coach Owen L. “Chili” Cochrane, he was the lead-off hitter and third baseman for the Wildcats his sophomore (1941) and junior (1942) years. 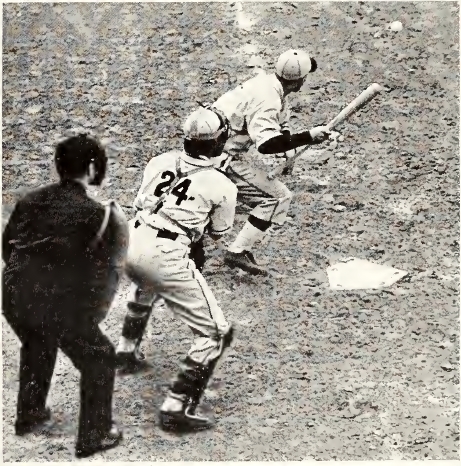 The war brought an end to college baseball on May 16, 1942 season, and Hugos – who had been enrolled in the compulsory ROTC training program at Kansas State – entered military service on June 3, 1942. Hugos served with the Army Air Force and trained as a fighter pilot. After earning his wings, Second Lieutenant Hugos was assigned to the 51st Fighter Squadron of the Sixth Air Force at Howard Field in Panama. The Sixth Air Force was responsible for the defense of the Panama Canal Zone and Hugos flew patrol missions in a Bell P-39N Airacobra, a single-engined fighter plane with an innovative layout, the engine was installed in the center fuselage, behind the pilot. On March 8, 1944, Second Lieutenant Hugos was killed during a training flight at Point Trinidad, Panama. Originally buried in Panama, his remains were returned to the United States in May 1948, and now rest at Sunset Cemetery in Manhattan, Kansas. As a point of interest, Hugo’s mother passed away in 1965, while his father, Karl, passed away in March 1993, four months short of his 101st birthday.